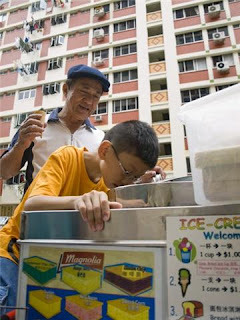 For the past 20 years, old man Leong has been an ice-cream vendor plying his trade on the streets on Singapore. 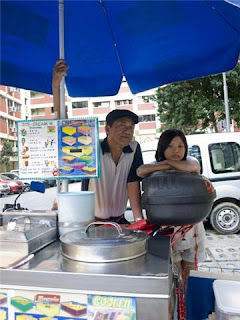 With his grand-daughter in tow, we begin to understand and experience in Singapore through the life of an ice-cream man. This is Kelvin Ke's latest short film - The Ice Cream Man. 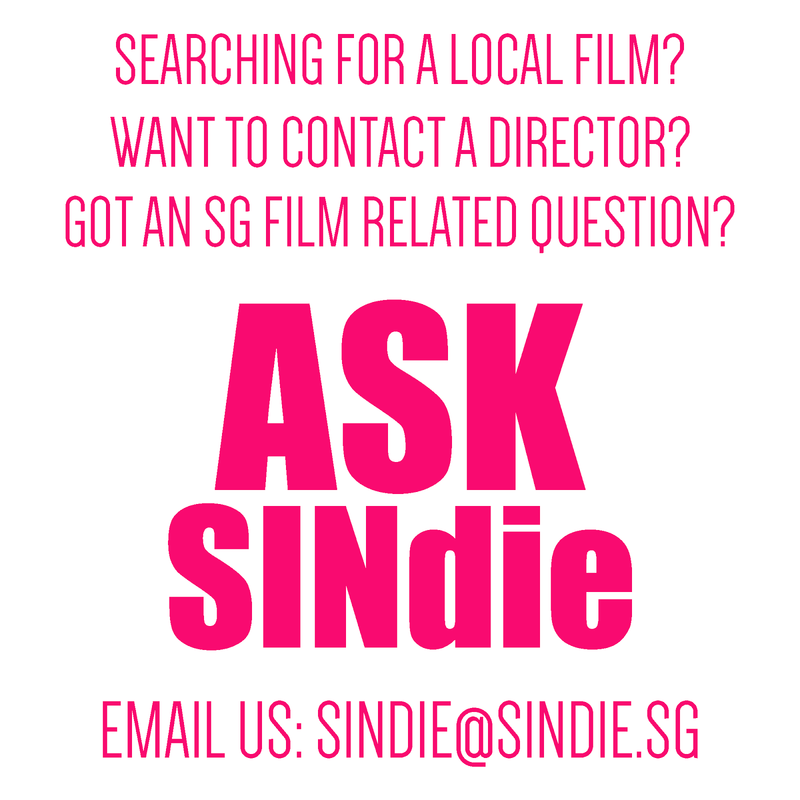 This film is photographed by Tay Yuxian from NTU, ADM and produced by Kwan Adelene and Gabrielle Seet. Jeremy (J): What kind of film is the Ice Cream man (as in genre)? Kelvin (K): It is a dramedy. J : Your inspiration for it? 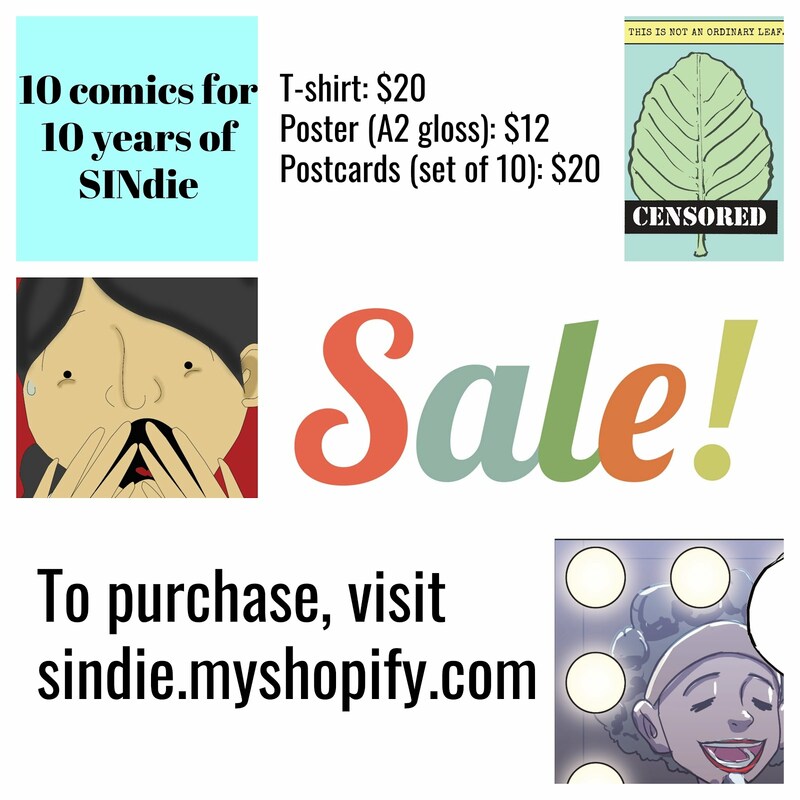 K : The character is based on a true life interview with a ice-cream vendor. From a simple act of wanting to buy a ice-cream cone turned into a four hour chat with the man. However the film isn't a biography about the man, but a capture of how this man of the street (literally) goes about his business selling a product. J : Oh interesting. (beat) What made you want to capture this angle of it? K : It started out as just a chat...a conversation between the two of us. And as months went on, the idea of this man and his attitudes towards life and work, and being in Singapore…it kept floating around somewhere in my head…and I decided to do something about it. (pause) I thought it would be great to be able to honour hardworking, everyday people like him. In fact, if one were to recollect, ice-cream man, the 'Mama' stall owners, Game shop Uncles, Kopitiam Aunties, ordinary people with seemingly unimportance occupations actually formed a huge part of the growing up process. And it would be good if one were to say honour people like that once in while…on another level though... J : In what way did you try to 'honour' what he does? As in what was the angle you took? K : First of all, i wasn't going to try to create drama or something heartlander conflict but rather put forth as much of the real ice-cream man's attitudes in the film. Namely, he was proud of what he was doing, or rather he took pride in what he do. It is a great insight into a man, or rather into 'this' particular man. He was dirty(still had eye-dirt) in his eyes, reticent and slight drunk during our conversation. 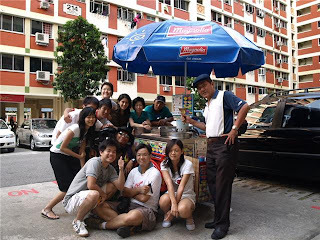 Uncle Leong was such a cool character that he allowed us to stay with him as he served melting customers under the Singapore sun. He is a bachelor living in a one room apartment. He drinks and smokes everyday. He wakes up at 11am. J : Where is this ice cream man? K : You mean, where he works? K : Uncle Leong works in Orchard. He is about in his sixties. He is a bachelor living in a one room apartment. He drinks and smokes everyday. He wakes up at 11am everyday and make his way down to Orchard Road to hawk his ice-cream. He is cool about competitors cutting into his space. J : It sounds like it was easy to get him to agree to be featured? K : Well, its a film actually, its a narractive or sorts. So Uncle Leong isn't in the film. He is played by another actor. The film isn't a documentary or a narractive film but a mixed between a visual essay and a story about this man. J : That's novel. K : Its not really actually...I borrowed the idea from Chris Marker - a noted and famous film artist in the 60s haha. He made La Jetee and San Soleil. I just thought I wanted to do something that i wouldn't normally attempt which is try to create essay film...not that I will succeed..but we'll have to see how things goes. So in a small way, its stretch personally for me...and I just really hope that people, when they watch it, they will like the film and hopefully they can look at working class people from another angle. They don't have to be always depressed. They don't have to be always unsatisfied with their lives. (pause) and I wanted to show a side of a character that is more optimistic and yet resolved in his attitudes towards life. J : How did you prepare the actor? Did he have to understudy Uncle Leong for sometime? K : Well, unfortunately, my producer, Kwan Adelene and I wanted to get Uncle Leong to participate in the film...However we tried calling his handphone number...we couldn't get through. So what happened was that...the actor Simon Ho, went through the job with another ice-cream man who we engaged to help in the film for prep work...the actor was in the same age group as Uncle Leong, so in terms of the mentality, the physical tiredness and energy, the idea that you got to take pride in your work, and how you can affect people, and how the simpliest thing in the world can actually mean a lot. 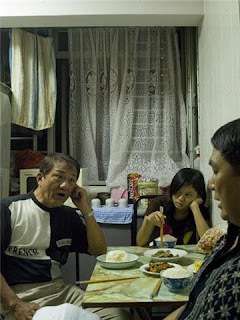 (pause) I had also written a few articles on my interview with Uncle Leong, which I posted up on my website and I gave the actors to read and understand where i was coming from, who the man is and what sort of life he was living…and Simon came up with a lot of his own ideas and we try to incoporate them into the film.